This piano-playing prodigy is stealing people heart’s one song at a time. 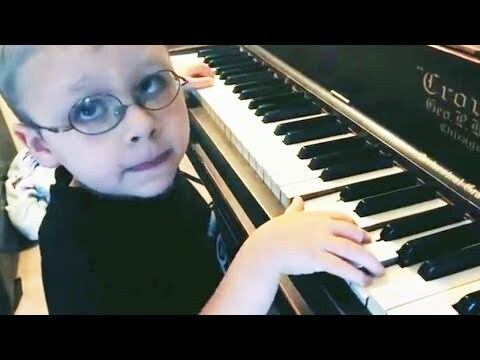 Avett Ray, 6, from Ohio started tickling the ivories as soon as he was tall enough to reach the keys. At 11 months old, he was already teaching himself how to play. Avett is also turning heads because he was born completely blind in one eye. The little boy’s musical talents went viral when his mom posted a video of him asking her to text Adele, and he even took on one of the singer’s most famous songs.